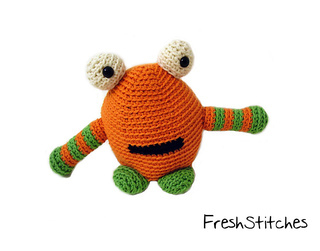 This adorable monster isn’t the least bit scary! Eli measures 6.5 inches long when completed. This is an ‘easy’ level pattern: instructions for color changes are included. Progress photos are also included in the pattern.